Gerald Anderson Turns Into a Real Life Undercover! 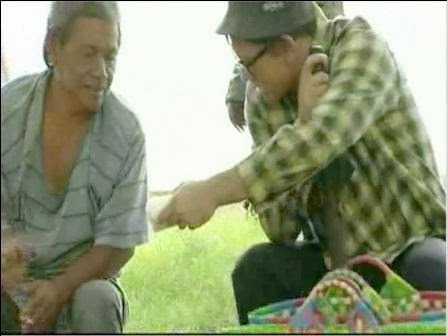 An image of an old man giving out sandwiches to random people along Roxas Blvd. recently floated on social media. It touched the hearts of netizens as it reminded them of the true meaning of Christmas but little did they know that the old man in the photo that they shared in their various social media accounts is no other than hunk actor Gerald Anderson. Gerald went undercover for multi-awarded educational program “Matanglawin” for its Christmas special airing this tomorrow (Dec 22) that features stories about sharing the gift of love this yuletide season. The sought-after Kapamilya star also shared how the experience moved him. Meanwhile, “Matanglawin” also surprises two different individuals who will celebrate their birthdays on Christmas day. What’s in store for MMDA traffic officer Christopher Cailo and young girl Jacqueline Babehis?